These shiny pretty blues remind us of the 90s. 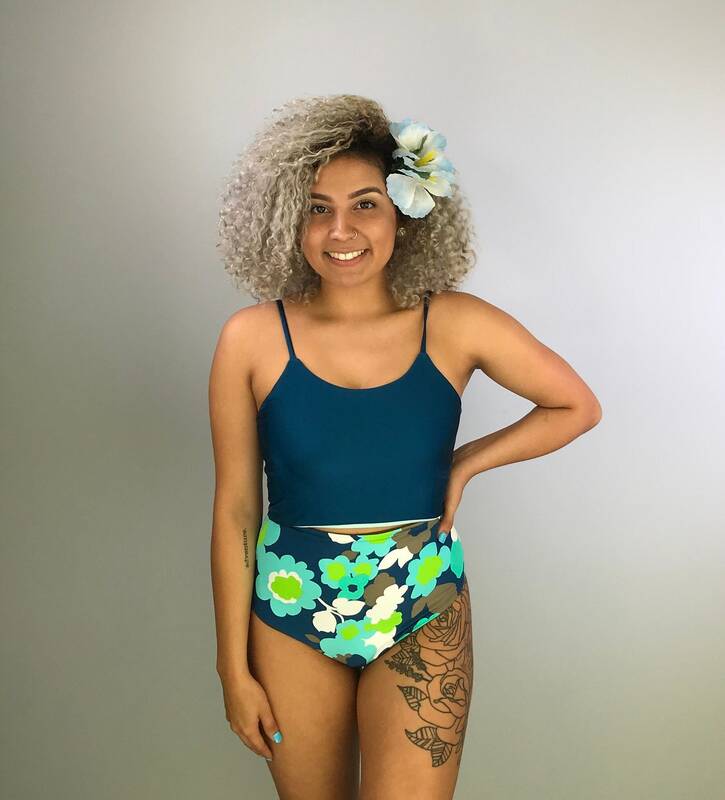 Wear it as a tankini for the comfort of a two piece with the look and style of a onesie. Fold the bottom hem up for a color blocked look and also to get a little more sun. We love this style- so comfortable, practical and cool. We wear ours as a crop top with shorts and even as a yoga bra. Size small, see size chart below. 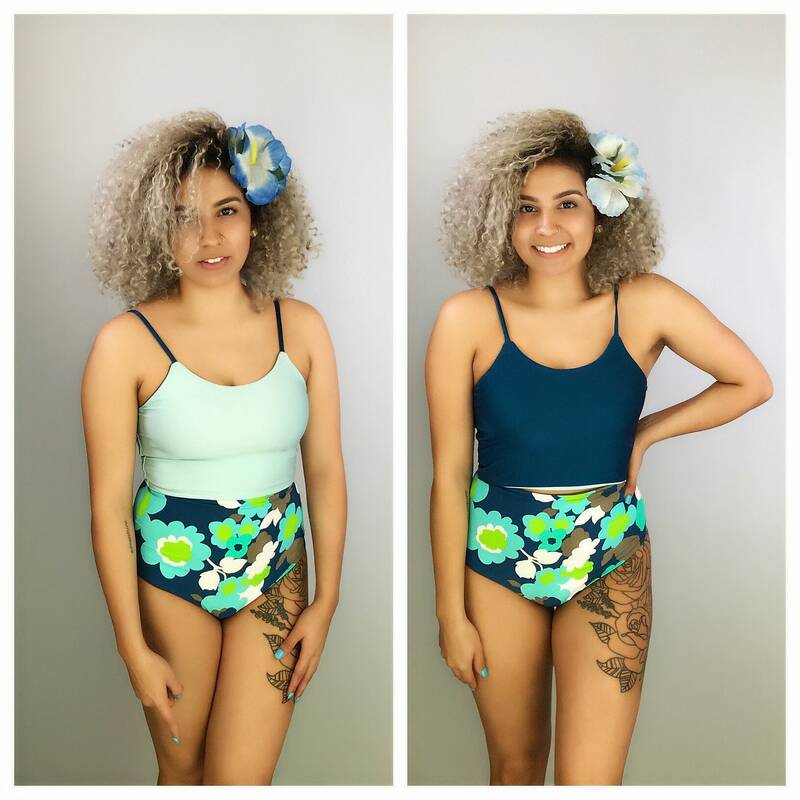 We sell our swimsuit pieces separately so that you can customize your fit- this listing is for the top only and ships within 1-2 BUSINESS days- kindly review all shop policies and FAQs before purchase.